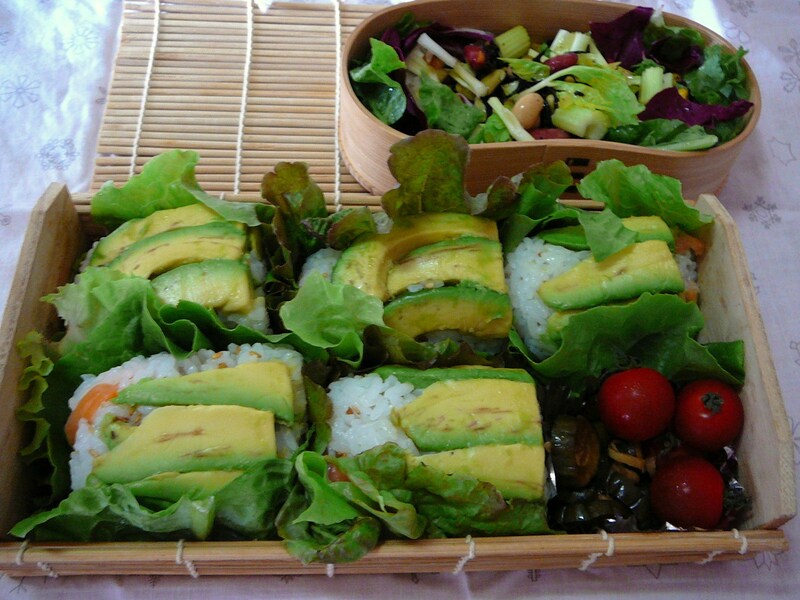 As Tuesday is “Sushi bento day”, the Missus came up with the concept of sushi millefeuille, that is a multi-layer sushi. 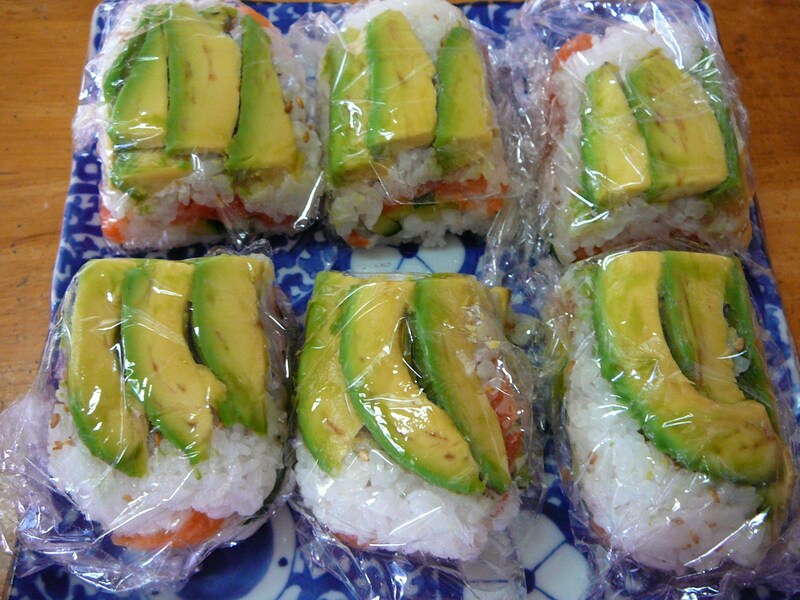 She lined a terrine with cellophane paper before placing the ingredients in the following order (inverted! 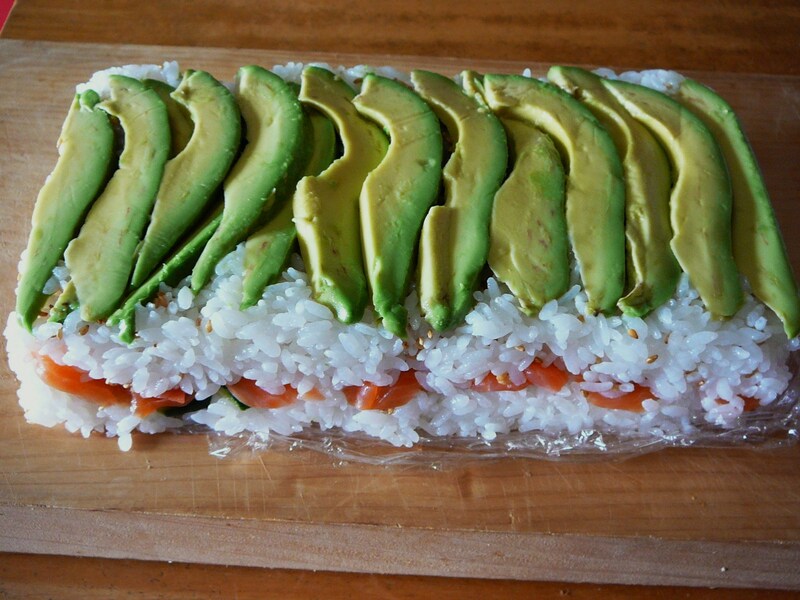 ): sliced avocado dipped in lemon juice, sushi rice, cucumber strips, smoked salmon and rice again! 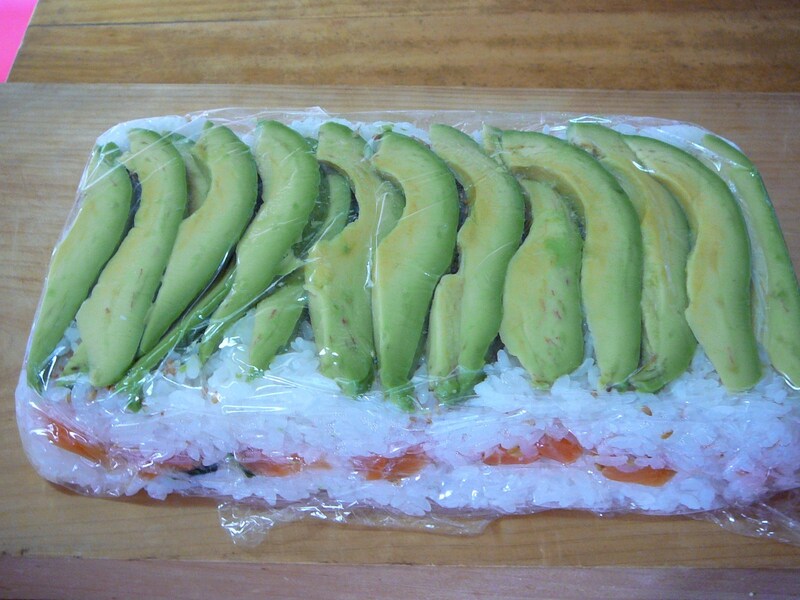 Now, if you do not wish to press the sushi too hard like the Missus, keep it wrapped in the cellophane paper when you cut it to avoid unpleasant (crumbling away) surprises. And you might have to wrap them again before cutting them a second time across! 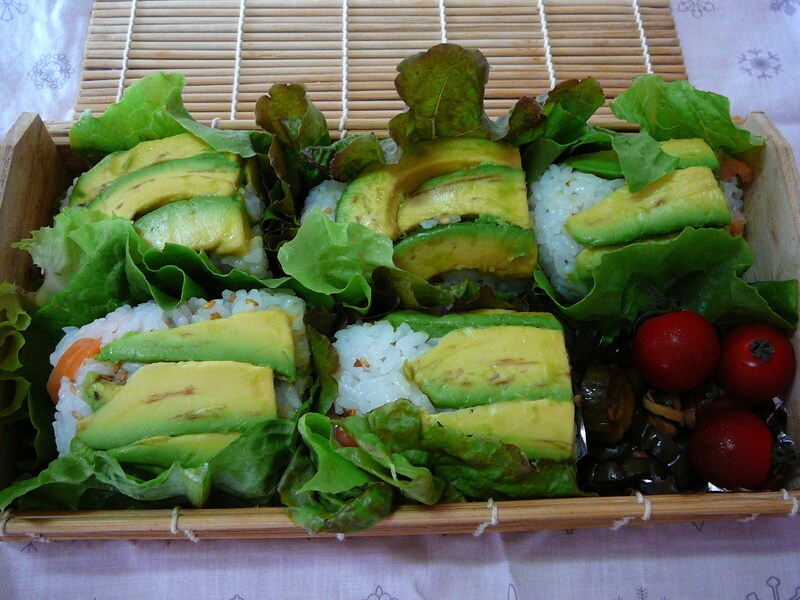 Then she wrapped each sushi in lettuce for better handling and easier insertion into the bento box. 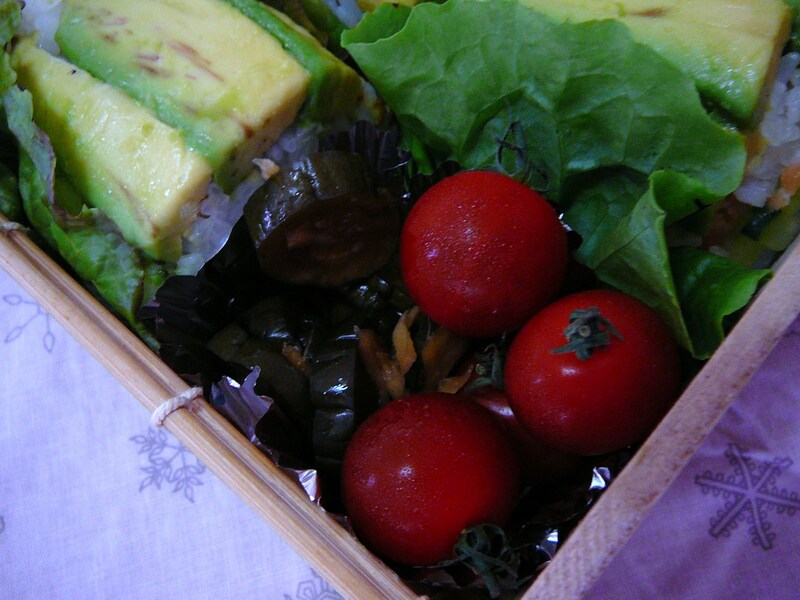 That particular box is very practical for big bento rice balls or sushi! 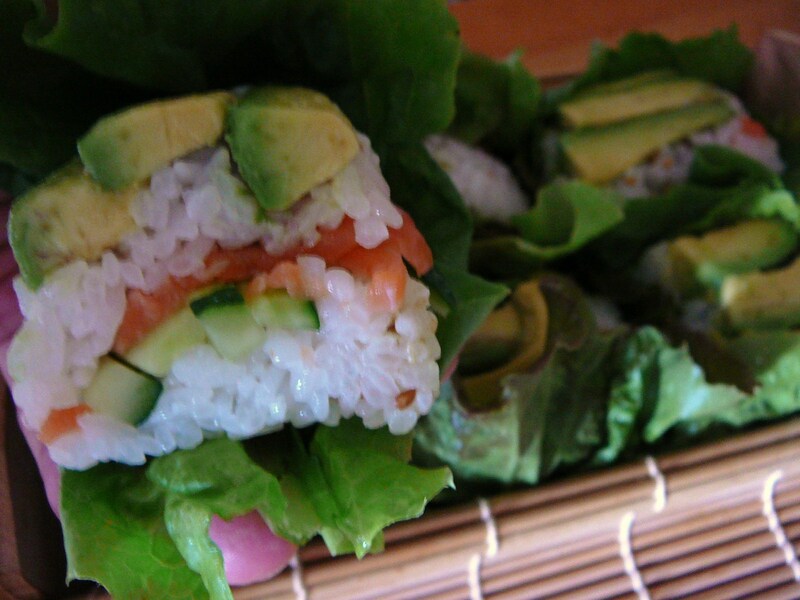 For a closer cross section view of the sushi! Mini tomatoes and the Missus’ mother’s home-made cucumber pickles for the finishing touch! 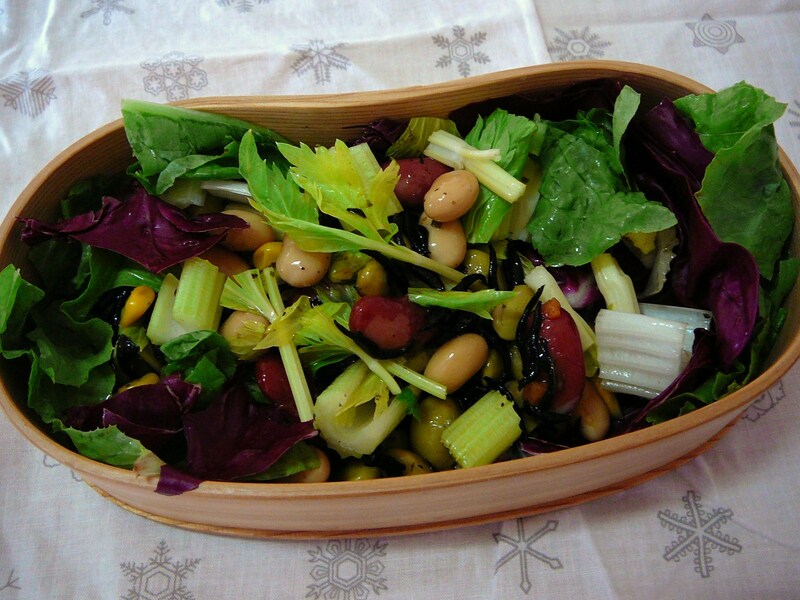 The Salad dish consisted of mixed boiled beans, hijiki/sweet seaweed, fresh celery, red trevise and lettuce. No dessert? Oh well, the tomatoes are very sweet!